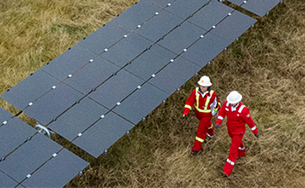 We work to deliver energy responsibly and safely. We aim to do no harm to people and to have no leaks across our operations. We refer to this as our Goal Zero ambition. Every employee and contractor is expected to meet our safety standards and requirements, including following our 12 Life-Saving Rules. We continue to strengthen the safety culture among our employees and contractors. We expect everyone working for Shell to intervene and stop work that may appear unsafe. We investigate incidents and aim to learn from them, sharing findings to improve safety performance across our industry. Read more about our 12 Life-Saving Rules at www.shell.com/lifesavingrules. 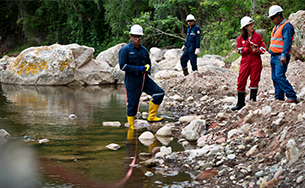 Every one of our people plays an important role in maintaining a safe working environment. We aim for a safety culture that goes beyond compliance. This means people should feel listened to and cared for, and comfortable raising concerns or dilemmas. We hold a safety day each year when employees and contractors across Shell share perspectives about safety hazards in their work. In 2018, sessions focused on care, dilemmas and avoiding complacency towards everyday risks (or “risk normalisation"). Our facilities are often located in harsh environments and our people often work in demanding roles, having to manage many different hazards. We ensure that people have the necessary safety training and skills. For example, everyone working in an offshore location must complete basic offshore safety induction and emergency training in survival skills. In 2018, following steady and significant improvements in our safety performance over the past decade, the number of injuries per million working hours – the total recordable case frequency (TRCF) – increased slightly to 0.9 compared with 0.8 in 2017. The level of injuries that led to time off work in 2018 also increased compared to 2017. Tragically, two people lost their lives while working at Shell locations in 2018: one person died at a refinery in Germany and another at an onshore well in the USA. Our fatal accident rate – the number of fatalities per 100 million working hours – remained flat in 2018 compared to 2017. Process safety management is about keeping our hazardous substances in pipes, tanks and vessels so they do not cause harm to people or the environment. It starts with designing and building projects and is implemented throughout the life cycle of the facilities to ensure they are operated safely, well-maintained and regularly inspected. Shell operates a liquefied natural gas regasification terminal in Hazira on the west coast of India. Our global standards and operating procedures define the controls and physical barriers we believe are necessary to prevent incidents. For example, our offshore wells are designed with at least two independent barriers in the direction of flow to mitigate the risk of an uncontrolled release of hydrocarbons. Shell companies regularly inspect, test and maintain these barriers to ensure they meet our standards. In 2018, leaders throughout Shell continued to work with their teams to develop a better shared understanding of process safety challenges and behaviours, and how to jointly design improvements. For example, at the Moerdijk chemicals site in the Netherlands, leaders and frontline operators co-created an improved approach to safe isolation, which is intended to ensure people and dangers – such as electricity or hazardous chemicals – are separated during operations. We continue to take steps to better align and improve the various approaches to managing facilities across our businesses with the aim of having simpler and safer ways of working. 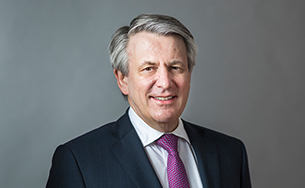 These steps include starting to introduce a single global asset management system to be adopted by Shell-operated facilities and some non-operated ventures. The system provides asset managers with an overview of steps they should take for safe and efficient management of facilities. For example, it includes expectations related to asset equipment care, maintenance, learning from incidents and conducting assurance. Having a single system is expected to help Shell companies improve the way they manage the safety performance of assets. It also helps to foster better knowledge management and networking across businesses to enable us to accelerate lessons learned across Shell. 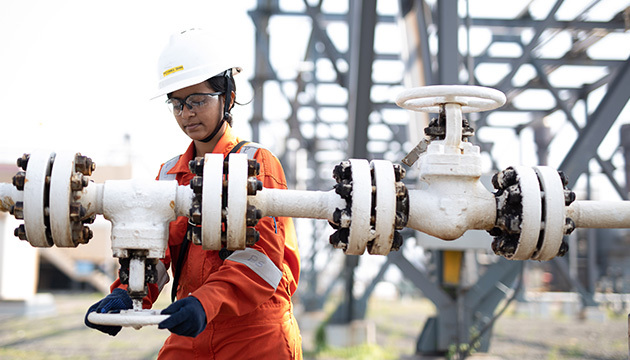 Since 2016, we have been embedding a set of process safety fundamentals across Shell, which provide clear guidelines for good operating practice to prevent unplanned releases of hazardous materials. We have encouraged employees and contractors at facilities to use these fundamentals in everyday conversations to give visibility to safety dilemmas, so they can be resolved. Read more about our approach to process safety at www.shell.com/process-safety. In line with industry standards, we measure and report process safety incidents according to significance, with Tier 1 as the most significant. Following the disappointing results in 2017, when our process safety performance deteriorated, there has been renewed focus and effort in all businesses in 2018 to improve performance, including further implementation of our Process Safety Fundamentals. The number of Tier 1 and 2 operational process safety events decreased from 166 in 2017 to 121 in 2018, of which 35 were Tier 1 and 86 were Tier 2, returning to our multi-year improvement trend. In 2018, the most significant incidents related to process safety were a fatality at our Rheinland refinery in Germany and a spill at the Trans Ramos pipeline in Nigeria. Process safety events related to sabotage and theft in Nigeria are recorded separately. There were nine Tier 1 events in 2018, the same as in 2017. Read more about Shell and safety at www.shell.com/safety. We work to ensure our products - such as fuels, lubricants and chemicals - are safe throughout their life cycle. Our goal is to protect employees, customers, communities and the environment from potential risks posed by these products. Good product stewardship means we assess and manage the products’ potential health, safety and environmental risks. We work with our customers and suppliers, monitor changes in the science behind our products and support research to reduce risks. We communicate the potential hazards associated with our products and publish safe handling information on labels and safety data sheets. We also comply with, and monitor changes to, applicable regulations. In regions around the world, various regulations designed to create a more circular economy are in development and we are preparing to meet those requirements when they are introduced. We also support safe and sustainable products through the use of internal reviews for products we develop. Our OilSafe programme uses a classification process, for example, to identify lubricant additives that have characteristics that could lead to handling risks, such as a low flash point or hazardous or toxic components. When these substances are part of a formulation, our process requires that their use be reviewed. Based on our review results, we either stop use, replace the additive, or implement controls to reduce the risk of handling the final product. You can read more about our product stewardship, as well as our commitment to animal welfare in relation to product safety testing at www.shell.com/product-stewardship.